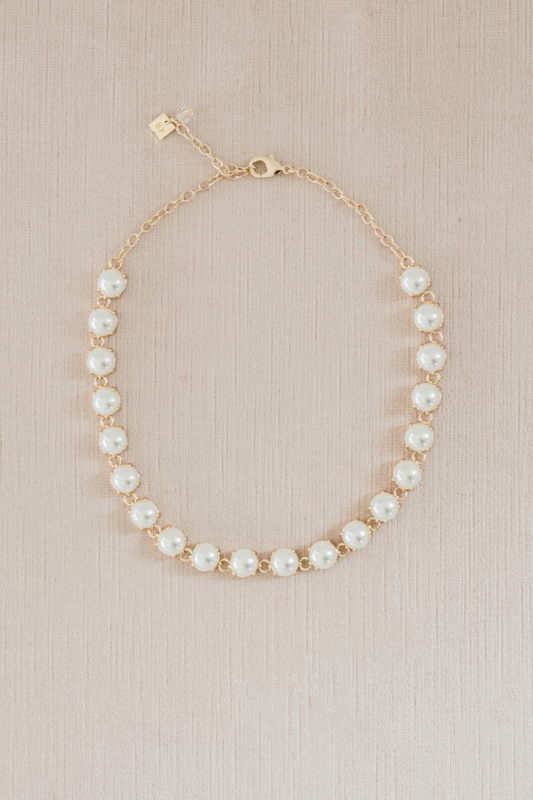 A normal day will be special with this goldtone collar necklace adorned by lustrous prong-set imitation pearls. This pretty piece is part of an exclusive collection celebrating romance and femininity for every moment. Keep away from water and chemicals; remove during physical activities; store in a soft pouch. 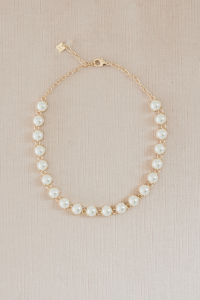 Wear with a simple top or dress alone or layered with our Crystal Collar Necklace.